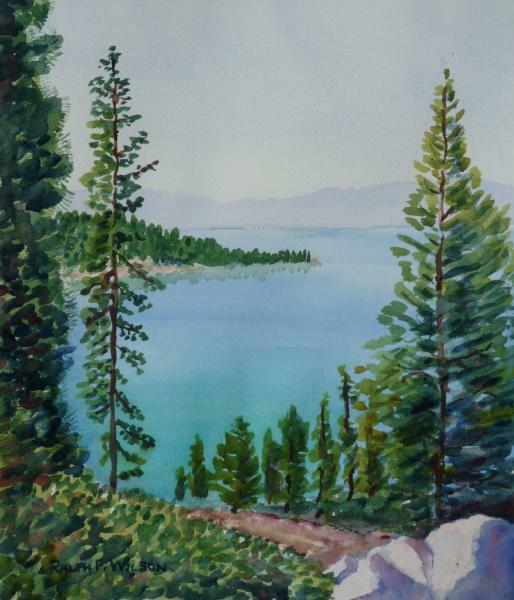 From northeast Nevada shore at Lake Tahoe State Park, looking south towards Sand Harbor July 30, 2013.. Transparent watercolor. 10.25x12.5" Accepted for exhibition in the juried 2013 WASH Open Show at the Sacramento Fine Art Center, September 3-28, 2013. Exhibited at the Placer County Fair, June 25-28, 2015, where it won third place in the watercolor category.